Echinacea 'Firebird' PP#22775 was introduced in 2010. 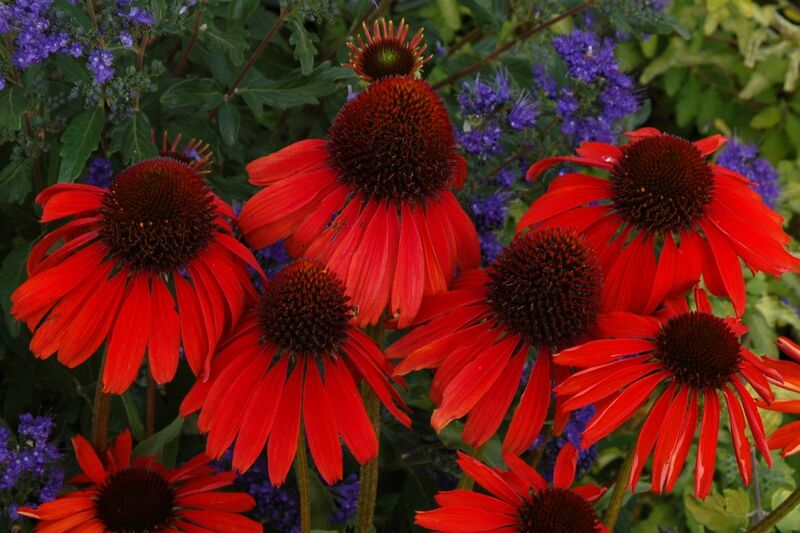 This newer red bicolor coneflower features 3 1/2" flowers on strong stems. Forms a compact clump of shuttlecock-shaped red-orange flowers. The dark cone adds character making the flowers look like they are ready to fly away. A fantastic introduction from the folks at Terra Nova Nurseries.